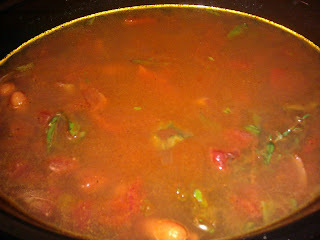 I made some yummy chili that I found at this website. I made a few adjustments, I didn't have oregano, and I used fresh basil. I also used cumin seeds instead of powder. The secret ingredient...nutmeg. I omitted the tomato paste, didn't have any. I used canned beans, kidney, black, and garbanzo. I had no cinnamon stick so I used ground cinnamon. I guess I tweaked it quite a bit. I want to marry this chili. It is the best chili I have made so far! It was so yum! I highly encourage you to make this and play with the ingredients. 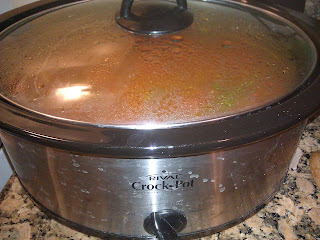 I added and removed ingredients and it was easy in the slow cooker. This is the first time I've sauteed the veggies and spices before adding to the cooker. Maybe that's what made the difference. Have fun with it and enjoy-I sure did! !